Receive Live Market Prices and a Full Online Quotation for your Fine Wine Collection in just a few minutes. Finding and comparing various sources for fine wine prices can be a confusing and laborious process that requires considerable amounts of patience, knowledge, and time. Furthermore, requesting and comparing quotations from reliable fine wine brokers or wine merchants adds another complex and time-consuming step to the process of selling fine wine. We recognised that when the time comes for fine wine collectors, wine investors and wine enthusiasts to consider selling their wine, they want quick and easy access to accurate, reliable and transparent wine valuations for their fine wine collection. This is why we created our Online Wine Quotation Tool. Other brokers and merchants rely on a slow, manual process to value wine, usually taking a number of days to provide an inaccurate wine valuation and an uncompetitive quotation, often with hidden costs or fees. None can provide quick, accurate wine values or quotations online, that display live market prices and the final amount you would receive – including all fees, commissions and costs. Comparing live fine wine market prices from our own bespoke database, Liv-Ex and Wine-Searcher, our Wine Quotation Tool uses a robust methodology and proprietary algorithms to generate the industry’s most transparent and accurate quotations, achieving the best-in-class solution for our clients to value and sell wine online. 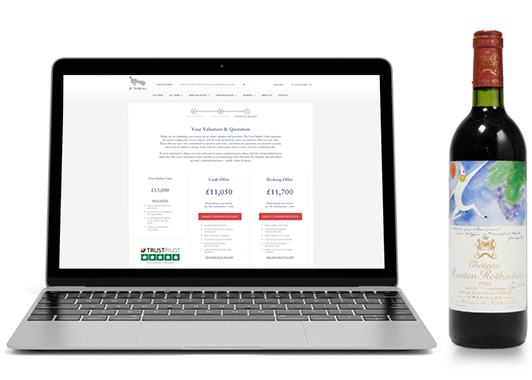 In just three simple steps you can enter your fine wines into our Quotation Tool to receive a Live Market Price for your wine, as well as an indication of what we could offer you if you want to sell wine online. Enter your wines into our tool by typing the name of the wine and choosing the correct name from the drop-down list. You then need to enter the vintage/year, the bottle and case size, then select how many cases you own and click ‘ADD WINE’. Once done, click the ‘GET MY ONLINE QUOTATION’ button to add your personal details. We’ll never share the information you provide us, hassle you on the phone or send irrelevant emails. 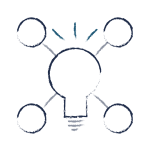 Our tool will then use Live Market Data and a complex algorithm to instantly generate a market valuation and an indicative Cash Offer and Broking Offer. If you wish to sell wine online, or simply understand more about the offer and process, you can request a confirmed quotation by clicking the button under the offer. Once you have reviewed your online quotation you can request a confirmed offer to sell wine online with JF Tobias by simply clicking the button below the offer you’re interested in. A member of the Purchasing Team will be in touch with a confirmed quotation. After receiving a confirmed quotation and accepting an offer (Cash or Broking), we will assist you in organising the transfer or collection of the agreed wines into our Bonded Warehouse account at LCB Vinothèque so that we can carry out a Condition Report. We cover the costs and your wine is fully insured during this process. Once your wines have arrived and have been processed into our account at our bonded warehouse, LCB Vinothèque, we will request that a Condition Report is produced by an in-house expert. This high-resolution photograph enables us to confirm the wines are as described and in excellent condition, which will speed up the process of finding a buyer for your wine. Based in London and Hong Kong, JF Tobias is a passionate team who have over 20 years combined experience in the international wine trade. We proudly stand out amongst other merchants and brokers as our services are defined by our complete and unrivalled focus in equipping our clients with the best experience and digital solutions, whether you wish to buy or sell wine online. Everything we create starts with our commitment to understand our clients’ needs and requirements. Q. How do I sell wine online? Using our Wine Valuation and Quotation tool to sell wine online allows you to discover the market value of your wine, as well as the wine prices you could achieve if you sell your fine wine through JF Tobias. Enter the name of the wine you want to value then select and choose the matching name from the dropdown list. You then need to select the vintage, case size, bottle size and quantity of cases, and then click ‘ADD WINE’ to add it to your list. Repeat this process if you have more wines. Once you have added all of your wines to the list you will be able to view your selling wine quotation by clicking ‘GET MY ONLINE QUOTATION’. We then need you to give us a few personal details, this is so our Purchasing Team can get in touch should you later choose to sell wine to us after viewing our initial quotation. Market Value – Live wine prices from our own bespoke database, Liv-Ex and Wine-Searcher. Broking Offer – We find a buyer on your behalf. The process takes a little longer but you would achieve better wine prices. Cash Offer – We offer to buy your wine outright. The process is quicker but you would achieve slightly lower wine values. Our online valuations and quotations should only be used to give yourself an indication of your wines value and what you could receive if you wanted to sell wine to us. To receive a confirmed quotation please click the corresponding button below the offer you’re interested in and a member of our Purchasing Team will verify the wine prices and will follow-up within 24 hours. Q. What is the difference between a cash and a broking offer? Broking Offer: We will agree to take your stock into our bonded warehouse and have a condition report produced. Providing the wine is in perfect condition we will attempt to find a buyer for your wine on your behalf. Once we have found a buyer, you will receive a sales update and then paid the amount we quoted within 28 days after the sale was confirmed. This is a slower method to sell wine, however, you receive more of the final sale price. Cash Offer: We will buy the stock directly from you providing the stock is in pristine condition – we check this by requesting a condition report when the stock arrives in our bonded warehouse account – once the stock condition is confirmed we will transfer the agreed funds within 24 hours. This is a much quicker method to sell your wine but you receive less of the final selling price. Q. Which is the best offer for me to sell my wine? This is entirely dependant on your circumstances. If you are not in any particular rush to sell your wines, then we always recommend that you broker your wines with us as you will receive a higher price. We’re happy to advise and help you as much as we can to so you achieve the best possible situation that suits your needs. Get in touch with a member of our Purchasing Team on +44 (0) 20 3384 1155 or email us at purchasing@jftwines.com. Q. Is it free to find out what wine prices I could expect to receive? And after receiving a wine quotation, am I expected to sell my wine to you? Using our Wine Valuation and Quotation tool to sell wine online is completely free and you are under no obligation to sell wine to us after receiving a quotation. Q. Once I receive a quotation for my wine, will there be any further costs or commissions deducted? Absolutely not, there are no hidden costs when selling fine wine through JF Tobias. We aim to simplify the process of discovering the value of your wine collection, so all costs and commissions have already been deducted from your wine quotation and the wine values are displayed as the final amount you would receive. This is however subject to our final confirmation and inspection of the wines, but if your cases of wine are held in a bonded warehouse and are in perfect condition, then you will receive the amount in your confirmed offer. Q. If I’ve already paid the Duty and/or VAT does that change the quoted price when I sell my wine? and will I get this tax refunded? If you have already paid Duty and/or VAT, unfortunately, our wine prices cannot be increased and you are not able to get a refund from HMRC. If the wine is subsequently sold domestically a VAT charge must be raised again. If the wine is subsequently sold to export markets, in some instances a VAT charge must be raised again, in other instances VAT does not apply. As well as this, wines removed from a bonded warehouse are slightly less marketable, as their storage conditions and provenance can no longer be guaranteed. Q. I have a lot of wine, what if I want to sell my wine collection or wine investment portfolio entirely? If you have a spreadsheet or a document that lists your wines, then you are able to send this to us via the Upload Stocklist form on our Wine Valuation and Quotation Tool page – we aim to respond within 48 hours. Alternatively, you can also email your list to us at purchasing@jftwines.com. If your collection is stored in a bonded warehouse, they should be able to send you a document listing your entire wine collection – often referred to as a stock report. We have facilitated many sales of large wine collections and wine investment portfolios and can offer better commission rates for cash and broking offers for larger collections. Q. How long will my wine quotation be valid for? Our online quotations are usually extremely accurate, however, on occasions, the wine values may be slightly out-of-date. So, if you want us to confirm the prices please click the corresponding button below the offer you’re interested in and a member of our Purchasing Team will verify the wine values and will follow-up with a confirmed quotation – usually within 24 hours. This confirmed quotation will be accurate for 14 days, after that the wine prices may have fluctuated and we can no longer guarantee that you will receive the prices previously quoted. Q. Can I get wine prices for single bottles? And do you buy them? No, unfortunately not. Our online tool can only provide wine prices for complete cases. Please get in touch if you have any single bottles you want to sell and we will do our best to give an indication of its potential value and if we’re able to buy or sell them for you. Q. Do I need to provide any personal details to sell wine online? Yes, if you would like to view an online wine valuation and quotation then you will need to provide your full name, email address and telephone number. These are only required so our Purchasing Team is able to get in contact with you in case you decide to request a confirmed quote. 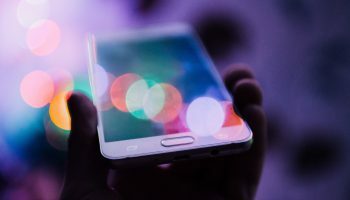 Your personal data is stored securely and we’ll never share or sell your information, hassle you on the phone or send irrelevant emails without your permission. Q. 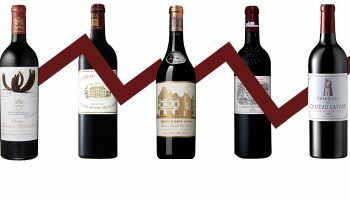 How are your wine valuation prices calculated? Our quotations are generated by live feeds from our own regularly updated database, which is also compared against other reliable wine market pricing sources such as, Liv-Ex and Wine-Searcher. Additionally, it is worth noting that our online quotations are based on the assumption that the wines are held in a bonded warehouse, and the condition and provenance is excellent. These are important factors in determining the value of your wine, if they do not meet these criteria then the value of your wine could change. Although we strive to provide the most accurate representation of value, the estimates we provide are provisional and are subject to inspection of the wines you are looking to sell. Q. If I decide to sell my wines, who takes care of the logistics or transfers them to your account? And will I be charged for this? Our Logistics Team will assist you with the transfer/collection of your stock, however, if your wines are held in a bonded warehouse under your own account then you will need to request this. After that, we will take care of the rest, including producing a condition report. We will cover the costs of the transfer/collection of your wines, insurance, condition reports or the storage fees. Q. What is a Condition Report? Will I be charged for it? A condition report is a high resolution photograph taken professionally at our bonded warehouse – LCB Vinothèque. This allows us to confirm the wines are what we were expecting and so we can check the condition of the bottles or cases. If you’re selling wine with us via a the broking route it also allows us to send potential buyers the photos, ultimately, speeding up the process you receive funds. Once we’ve received this we can then confirm the final price we are able to offer you for your wines and will either pay you (Cash Offer) or begin offering your wines out for sale (Broking Offer). You will not be charged for the condition report to be produced. Q. If I transfer or send you my wines, are they insured? Yes, whilst in our care your wines will be fully insured, as stated in our Terms and Conditions. These will be sent to you once you have confirmed to go ahead and sell your wine with us, however, they can be sent to you before on request. Q. If I still have questions, what should I do? Either refer to our full Selling Wine FAQs page or please feel free to contact a member of our team on +44 (0) 20 3384 1155 or email us at info@jftwines.com.